Maybe just some comments; got the hair from the last 50l friday; the plaid shirt, a lovely surprise from Thimbles that I must have forgotten about; the jeans are <33 I have these in real life except that i have ketchup on them too; and those boots, although a group gift and not of the best make, I love them so much because they look so kooky and awkward! 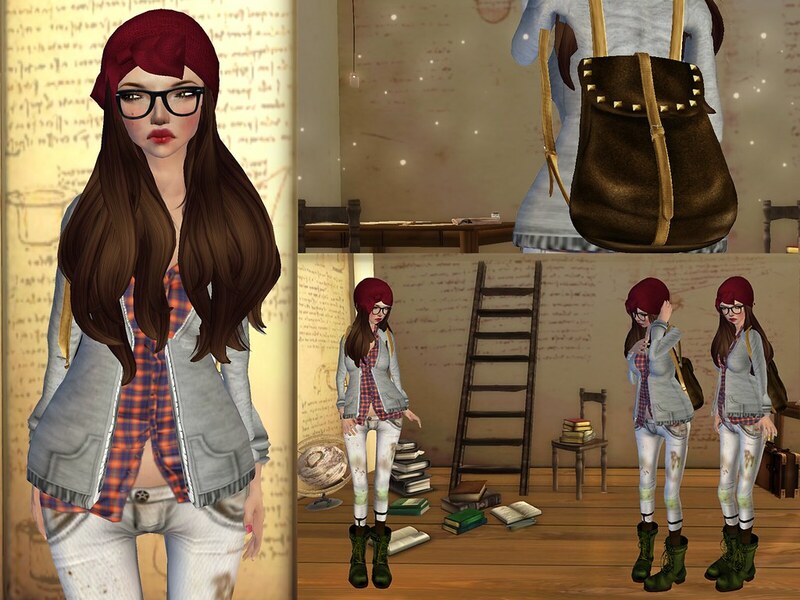 I’m also using poses from (marukin) by Valencia Southard; they are so fresh and blog-happy <3 thankyou val! Oh and the pictures are not post processed, only the background is changed, hopefully you’ll like it anyhow! Had a strangely laid back week and been doing things I shouldn’t be when I should be preparing for my finals. Mostly about free stuff today :) I know I posted so late, some of these stuff are no longer on sale. Be sure to tell me if I miss anything out. Poses – (pda) the middle one and my own.